$ 6,395 - Wave dining table with Baydur base in glossy Beige color and top in Walnut. #7209 chairs covered in Mud fabric with Walnut legs - $ 695 ea. Wave dining table - breathtaking, stunning, extraordinary. Shown with wood top. 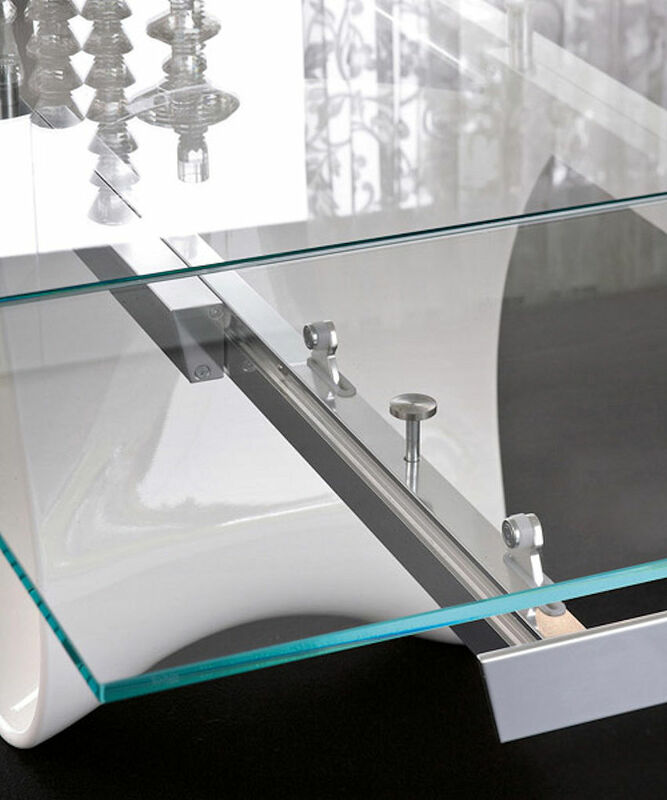 Available with fixed or expandable glass top. See below. Made in Italy. 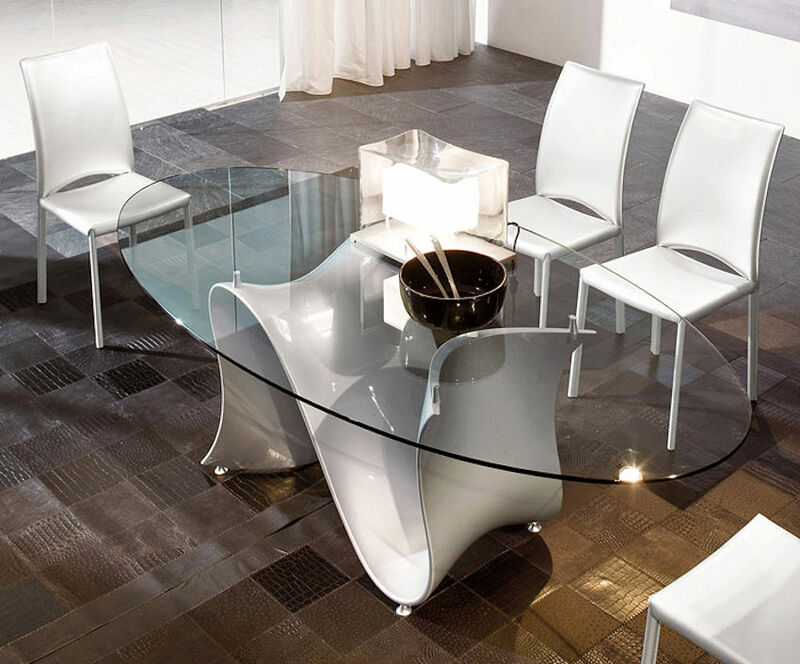 Wave extendable dining table with White base and clear glass top. #7258 eco-leather chair in White $ 995 ea. Available in other colors. Made in Italy. Wave fixed dining table with White base and extra-clear painted in White glass top. Shown with #7295 chairs in eco-leather - $ 995 ea. Also available with clear or transparent Bronze glass top for less. Made in Italy. Shown with #7276 Leather chairs - $ 850 ea. Made in Italy.